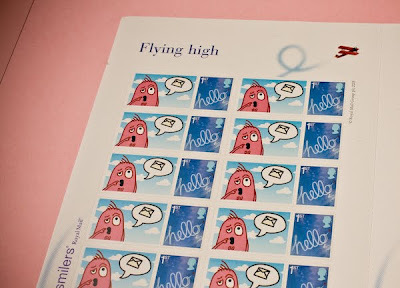 My obsession reached a new level when I found out that you can print your own custom stamps 1st class Royalmail stamps from the Royal Mail website. I've made lotsss of fake stamp illustrations but it was just another feeling to see my Manhattan Monsta as a real stamp! The only downside is that the bespoke stamp does not have the price or the Queen's head actually on it but is attached to a templated stamp. Anyway I can't wait to create more stamps especially since Christmas is kinda round the corner. So this year my Christmas cards will have an extra personal touch. Yay! 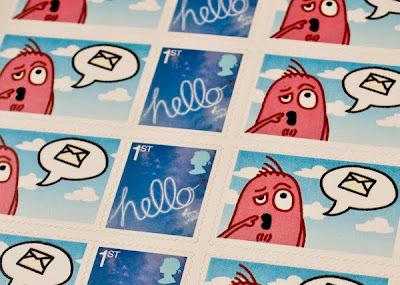 You can create custom Royal Mail stamps here.